We interrupt your regularly scheduled Remainders by Dan Moren to bring you Remainders by David Chartier. Mr. Moren has the day off, so you’re stuck with me. Hey, when I was your age, we didn’t even have remainders. We had to search the Web, in the snow, uphill both ways. We didn’t have iPhones, CDs, or the Internet, either. Who needs to drop $10 or more on a summer blockbuster at the theater when you don’t have to spend a dime to watch what is possibly the first short film shot and edited entirely on an iPhone 4? Michael Koerbel manages to tell a touching story in the span of a minute and a half, too. Some users are experiencing a signal degradation or loss issue when holding the iPhone 4 in their left hands. Since how one holds a cell phone is often a private, unexplored question until now, Nokia decided to hop on the bandwagon—with tongue in cheek—and ask its customers how they hold their phones. Strangely, they didn’t ask whether the Nokia E71 experiences the same problem. Speaking of holding the iPhone 4: The 90,000-member-strong Left-Handed Club has accused Apple of flat-out discrimination against lefties. 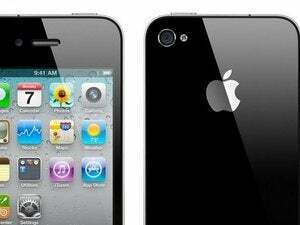 Apple sold 1.7 million iPhone 4s in its first three days on the market without running a TV ad. Now the company is running just such an ad, and FaceTime dominates the spotlight. Macworld ran its own camera tests when the iPhone 4 was released to find that the new 5-megapixel camera and HD video recording features help it to hold its own against dedicated point-and-shooters and pocket HD cams. But if you want to see an extensive side-by-side comparison of photos shot with an iPhone 4 and a Droid X—the latest Motorola Android phone to take on Apple—Boy Genius Report has what you’re looking for.